Render any image with V-Ray for Rhino or V-Ray for SketchUp and win a license of V-Ray and three hours of customized online training! Demo users are welcome to participate in this contest! 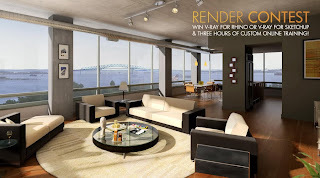 If you've already demoed V-Ray and need an additional 30 day extension, contact V-Ray.